He began to disperse in Europe like hot cakes, after all, judge for yourself, it was a great option to get, like a crossover, but so tiny that the driver with minimal skills could park, and in a row he felt like an extension of your body. And at the same time he had quite comfortable spaciousness, satisfying the needs of the average urban endemics. Of course, he was not as advertised as the Nissan Juke, and did not take prizes at the motor show, as Ford EcoSport, but, he managed to find his loyal audience of fans for sure. Therefore, it is not surprising that 5 years after the birth of the model, she is being prepared with a quality update of this kind. And now the miniature SUV will be even more modern and dynamic. 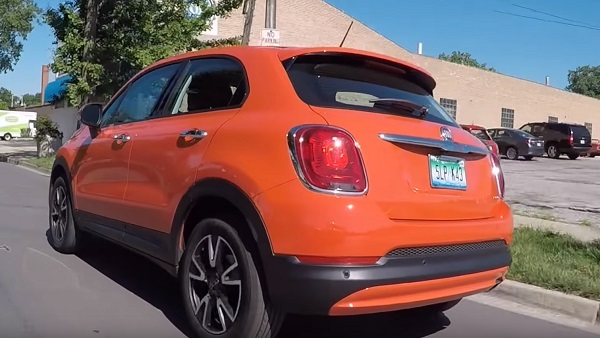 In addition, the Jeep Renegade, the cousin of the 500X, will receive its restyling in 2019, so it’s simply not necessary for our baby to fall behind him. We were able to get acquainted with his new face thanks to a number of spyware renderers made not so long ago on city tests of Fiatos, as well as several preliminary releases by the manufacturer. New in the exterior and design. So, externally in the car, though much has to change, but the biggest sensation, perhaps, will be a completely new optics. Front «eyes» will be even rounder, which will give greater elegance and innocence to this compact SUV. And they are in the front, as well as a slightly different bumper — this seems to be all that should surprise us from the front. As for the rear part … Here, the surprises are simply one on the other: first, the outlines of the fifth door have completely changed — now you will not find a single acute angle or protruding part. The car has completely lost its teenage angularity and has become a much more mature young lady. Secondly, to emphasize this effect, the Italians “drowned” the taillights into the hull, and balancing the composition, which is also promoted by the fact that the whole plane was divided in half, by combining the lighting technology with a diode strip of “stops”. Also promise to add a few new options for painting the body and a much more spectacular aerodynamic body kit for cross-country modifications. Very pleased that Fiat decided to return to the classic interior design with nicely rounded, soft shapes. The dashboard of this update will most likely remain the same, considering that in 2018 it has already changed qualitatively, increasing in size as a whole, and we were presented with a significantly “grown up” copy of up to seven inches in size as a screen. It will serve for touch control and multimedia, and the on-board computer. There will also be a different appearance and steering wheel with a familiarly huge brand nameplate, as well as a multifunctional indicator of movement indicators on top of it. There were a lot of complaints about the inconvenience of the gearshift position, but the automaker’s representatives have not yet commented on whether they are going to do something about it. But what is known for sure is that the new generation of the audio system will be installed, in addition, the brake system will also become more perfect, and the suspension will acquire sports settings. Otherwise, it will be excellent, as for its price and orientation to the target audience, a set of support for road assistants, compatibility with gadgets, as well as other modern things. As for the comfort and renovation of the salon, most likely, nothing should radically change, because the 2018 model has already experienced a serious evolutionary turn in this regard. But, while there are no clear photos of the interior of the publication announced for the next year, as well as descriptions from reliable sources, it is still too early to build any accurate predictions in this regard. 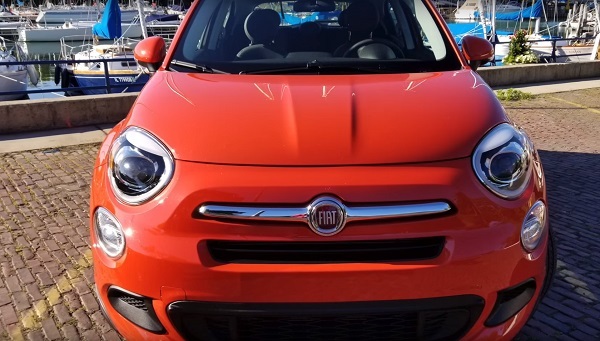 As reported from sources close to the manufacturer, postostylingovy Fiat 500X will be equipped with an updated version of the traditional 2.4-litrovka 188 hp, as well as the most advanced novelty, threatening to grow into an absolutely justified subject of pride — a turbocharged engine that produces 160 liters. with. at 1.4 liters volume. six-speed mechanics or nine-speed automatic. 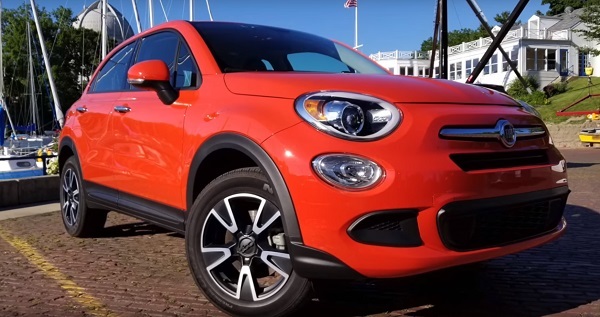 In addition to other innovations, the head of the Fiat-Chrysler tandem, Sergio Marchionne, reports that the issue of hybridization of one of the modifications has already been resolved positively by almost one hundred percent. Most likely, in the list of proposals of the manufacturer, it will replace the diesel MultiJet by 1.3 liters, and this will be a 48-volt plant, which, according to the authors, can break records in its environmental performance and productivity (up to 33%). As a result, the car will be much more economical and cheap to operate. Which, let’s hope, will allow her to be much more confident in competing with her classmates. New Skoda Fabia 2019 model year. Restyling Toyota Supra 2019 model year. Electric Harley-Davidson 2019 model year. « Updated BMW M2 Gran Coupe 2019.